You don’t have to give up on depth just because you are busy! 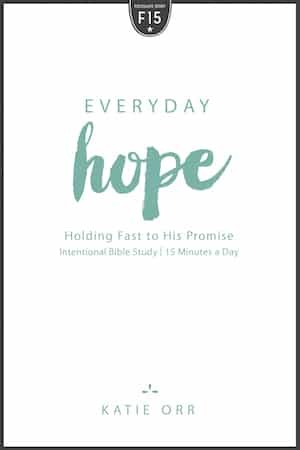 Each of the FOCUSed15 Bible Studies for women are geared toward helping you go deep in as little as 15 minutes a day. Are you too busy for Bible Study workbooks? 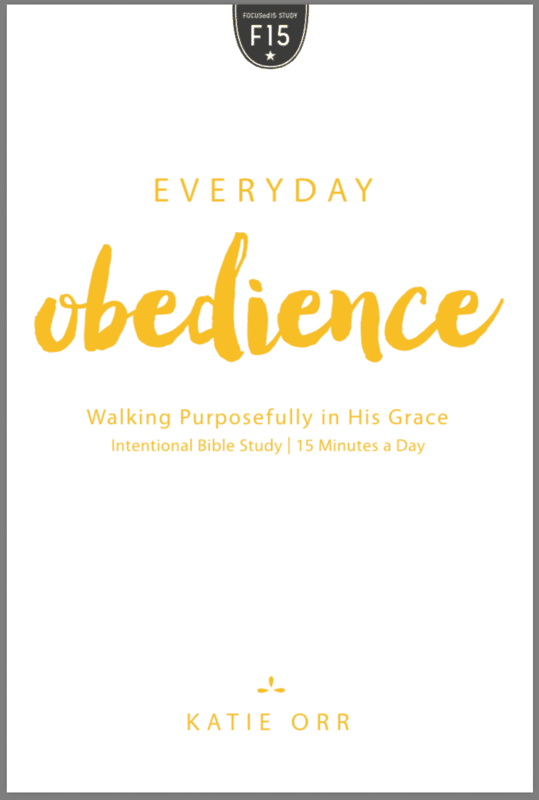 Katie Orr has both the unique ability to make deep, meaningful Bible study doable for others and the passion for helping women love God more through the study of His Word. Life gets busy and we end up wondering what happened to our good intentions to spend time studying the Bible and grow our relationship with Jesus. Katie Orr understands this and through FOCUSed15 she’s provided a practical as well as inspirational solution. Trevin WaxBible and Reference Publisher at LifeWay Christian Resources, Managing Editor of The Gospel Project. Katie Orr is a woman captivated by the word and person of God. Her heart beats to uncover the Truth of Christ for herself and to make those hard won truths accessible to others. They say that the mark of a good leader is that her work will point people towards God more than herself, and if that’s true, then Katie Orr is exactly the kind of leader I personally want to follow. The Scriptures are like jewels. When you look from different angles they glimmer in beautiful and unexpected ways. 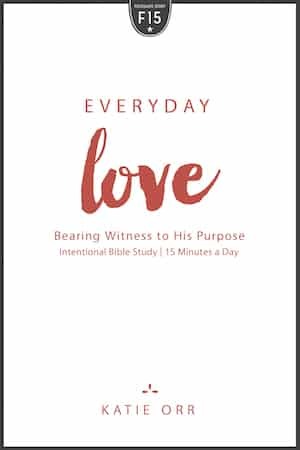 FOCUSed15 gives a fresh way to examine and enjoy the most precious words on Earth. Katie Orr’s zeal for God’s Word is contagious and may just forever change the way you engage the Bible. I personally have benefited in countless ways from the FOCUSed15 Bible study method. I am grateful to Katie for her work and for bringing me back to Jesus over and over again in each of these studies. Katie Orr has brought a unique and productive method of studying scripture to the world of Bible studies. Using her “FOCUS” approach, each step builds on the next one, leading to a fuller understanding of the passage, all within a very reasonable time frame. 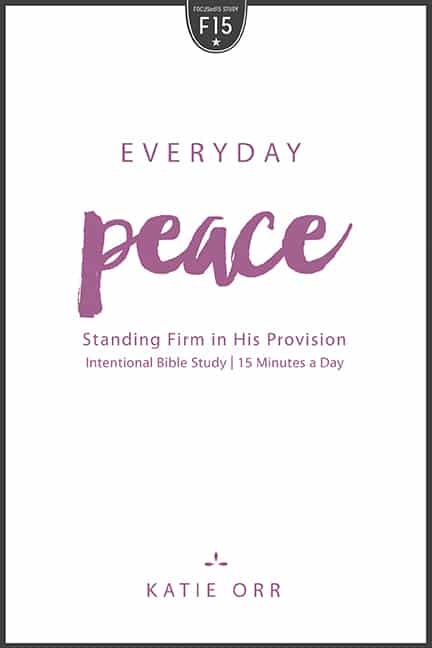 I enthusiastically encourage women to explore this effective and enjoyable method of Bible study! Katie Orr is an innovative leader committed to taking women to new places in their relationship with God. 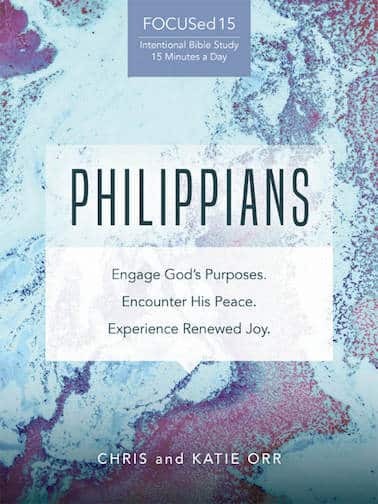 FOCUSed15 gives women an opportunity to learn the tools of inductive Bible Study in bite-size chunks. Perfect for anyone who is committed to studying the Word in this time-crunched culture! Everywhere I go women are searching for discipleship tools, either for themselves or others they are discipling. Katie Orr has delivered up a fresh, substantive tool to accomplish both. FOCUSed15 is a serious study method that is possible even for those with demanding responsibilities. This material will fit in a variety of settings and for women everywhere on their spiritual journey. Katie’s knowledge and understanding of hurried women who need 15 minutes in the Word five days a week is a welcomed Spiritual Energy booster for me! 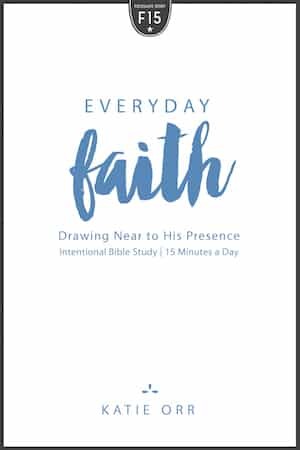 Her gift for drawing us into deeper relationships with Jesus through her Bible studies is incredible, and her FOCUSed15 method is so helpful. I feel much closer to God and now have tools to help me draw near when I start fading away. Katie is an excellent Bible teacher but she goes beyond teaching about the Bible to teaching the essential skills of personal Bible study. Her heart is to teach us each how to study the Bible for ourselves. The FOCUSed 15 study method is perfect for busy women who are in need of a rich study but who may be in a season that is busy. There were days where I had 15 minutes to focus on the Bible and other days where I sat for an hour with the study and bonus material. I love how she sets up the basic study to be 15 minutes but offers suggestions and resources for an extended study! Her FOCUS study method is one I will continue on my own! 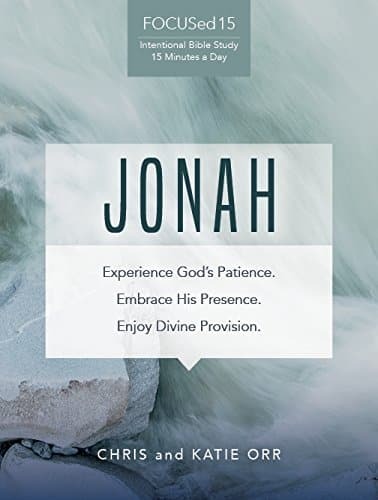 Designed for those who are pressed for time but crave more from their time in the Bible, the FOCUSed15 Bible studies for women offer a unique format that takes as little as 15 minutes a day. While the time may be short, the structure of these studies provide a relevant and lasting approach to studying the Bible for beginners and novices alike. Everyday Hope is for every woman who needs to have a little hope rise up in her heart. Everyday Love is exactly what I needed as a busy woman. Katie knows how to challenge and encourage. Katie takes a huge topic of ‘faith’ and makes it tangible. Everyday Peace was a safe harbor for me in the middle of life’s storms. It’s time to let go of shame, friends. Learn how in this brand new (super easy to use) study!